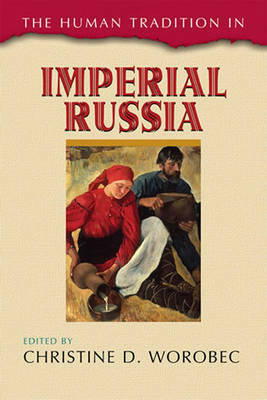 Sweeping across more than two centuries, this compelling book introduces readers to some of the major themes in Imperial Russia. In a set of engaging essays, the contributors present richly human stories of individual and group experiences, as well as of key events in Russian history. We see the effects of reforms; the consequences of an economy and society built on serfdom; as well as the development of a civil society, the "woman question," urbanization, secularization, and modernity. As this book vividly shows, individuals, groups, and events raised out of obscurity remind us of the messiness of everyday life; of people's dreams, frustrations, and transformations; as well as of their sense of self and the community around them.